WELCOME to my website for Shamanism. I am Ray Merrihew, Shaman and counselor, Founder of Shamans Raven Haven and Co-Founder of the Center for Human Potential. « We live in a time of great potential for transformation and for great disaster. Old ways are not working anymore and new ways have yet to be created. Shamanism can help us in our personal and in our global lives. « Shamanism is a way to discover and explore your amazing spiritual Self. You will find and work with the aid of powerful, loving, and Compassionate Helping Spirits who can and want to help you -- in all aspects of your life. I can help you learn how to utilize this 40,000 year old spiritual practice. Learning Shamanism is not just a matter of acquiring methods, but also of increasing spiritual power and knowing how to use it. « There is no dogma in shamanism. 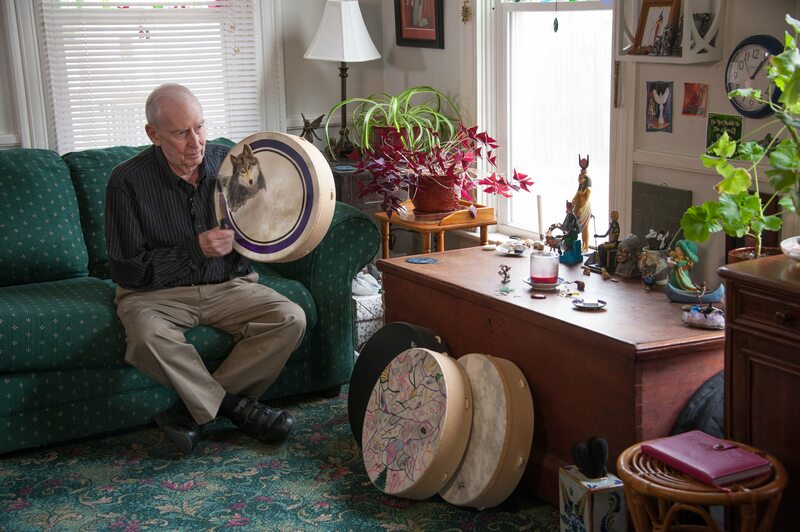 Shamanic practitioners follow the vibration of the drum or rattle down to a grounded trance state in which they are able to perceive Non-Ordinary Reality. While remaining fully aware, in non-ordinary reality we are able to connect and converse with our individual Helping Spirits. They are not limited by time or space and can provide perspectives we need for our personal lives as well as for the challenges of our beautiful tiny planet. « I started seriously on the Shamanic Path in 2009, and my life continues to change exponentially. It is an exciting, loving, joyful and very spiritual journey. I encourage you to explore it by utilizing some of the services I offer. I want to help you and your life grow and expand, and become more like you have always wished it to be. It is what I do. « I provide a calm, warm and peaceful space for you to explore your wonderful spiritual self. My scheduling is flexible. I look forward to meeting you. Please feel free to visit me on Facebook!